GSMArena team, 22 December 2017. It's been over 10 years since Apple launched the first generation Apple TV. 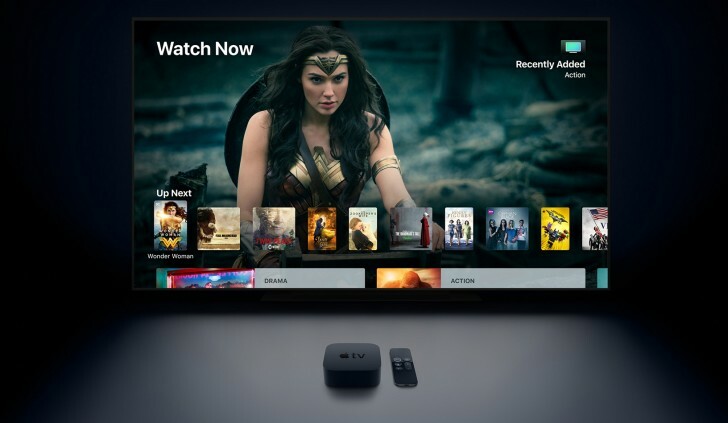 This year alongside the new iPhones, Apple introduced the fifth generation now supporting 4K/High Dynamic Range and appropriately called the Apple TV 4K. Recently updated to tvOS 11.2, now graced by Amazon's recently launched Prime Video app and with Apples own TV app is rolling out internationally it's time we revisited what Steve Jobs once called a 'hobby'. 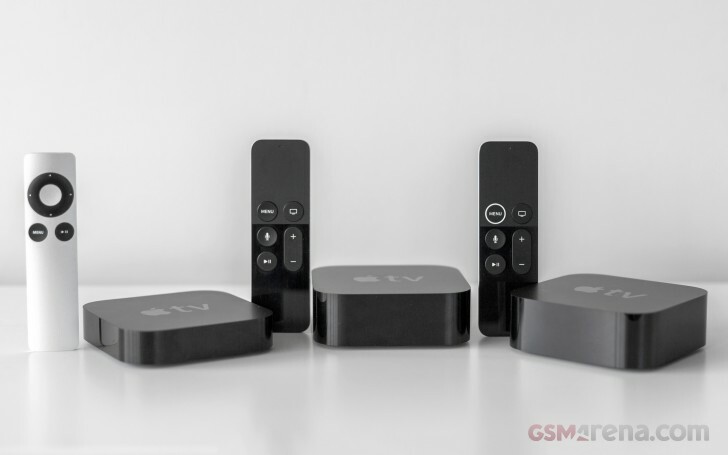 The ATV 4K comes in typical classy Apple packaging and contains the ATV 4K itself, the slightly redesigned Siri remote, which we'll come to later, the usual quick start guide and a Lightning to USB cable. If you're wondering, the Lightning to USB cable is be used to charge the Siri remote. No USB charger is provided but it's highly probable that you have one available. Conspicuous by its absence is an HDMI 2.0 cable which could trip up the novice or, in one of our cases, a parent. The new Apple TV 4K follows the same design trend laid down by Apple over the previous generations but with a few modifications. It's still the same black beer coaster sized puck, measuring 98x98mm with a height of 35mm. 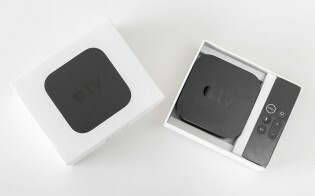 The sides are 'fingerprint magnet' black gloss whilst the top is matt black with a slightly recessed Apple TV logo. The bottom now contains eight vents on its raised circular base to provide airflow to the fan to cool its 4K HDR capable innards. In use you will not hear the fan. Around the back you'll find the HDMI 2.0a port for connection to your 4K TV and audio equipment, Gigabit Ethernet port and the power socket for the inbuilt power supply - no external power blocks here. 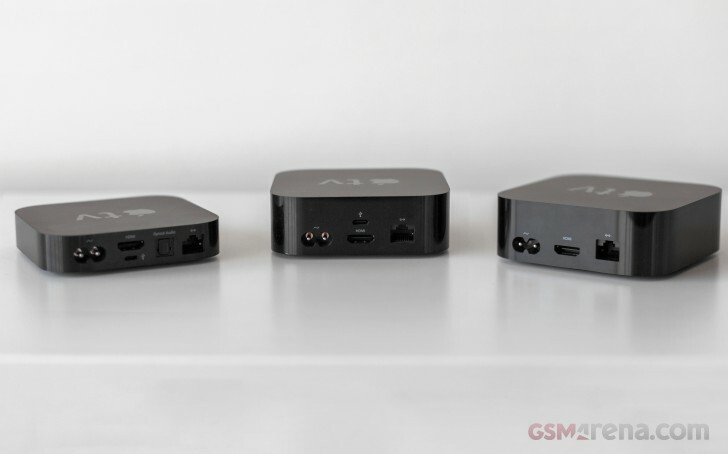 It's worth noting that the Apple TV lost its Optical Audio (TOSLINK) in the last generation Apple TV and now all audio is passed via the HDMI port, you should bear this in mind if your AV equipment is older. The front of the unit when powered off or asleep is devoid of any features. When awake the ATV 4K shows a steady LED white light that illuminates through the black plastic. The light will flash to confirm its received a command from a remote. Whilst it can't be seen, an IR Sensor is located towards the bottom left of the front of the ATV 4K for use with third-party remotes and AV equipment. We won't go as far to say it's attractive but it's an inoffensive and small design that will sit with your other AV gear without drawing attention to itself. 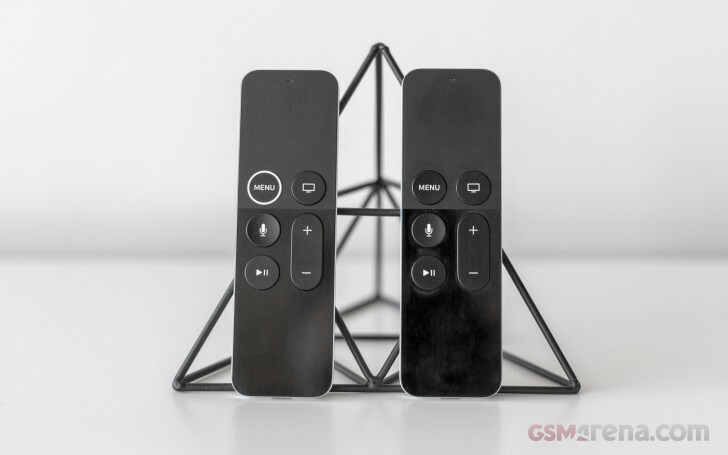 The Siri remote is 124mm tall x 38mm wide and only 6.3mm thick. Its back and sides are made from aluminum whilst the front of the remote is a combination of shiny and matt black all covered in a slim glass. The remote contains two microphones utilized by Siri, Accelerometer and three-axis gyro allowing it to act as a simple games controller. 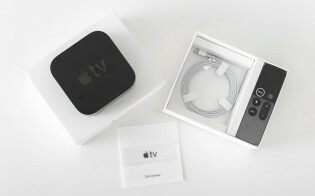 Once you get used to chaining the remote to a brick so you don't lose it in the sofa pillows, it is easy to use to navigate the Apple TV experience. However, it suffers from the same ergonomic problem as the previous generation, in that due to its symmetrical design, it's hard to orientate in dim lighting conditions which end is up - especially when your focus on the latest block-buster movie. On many occasions, we pressed the TV/Home button when we meant to press Play/Pause as the remote was upside down in our hand. Apple has attempted to alleviate this, with partial success, by adding a white (non-luminous) raised ring around the Menu button to help orientate the Siri remote by feel alone. It helps but it's still not perfect and whilst it doesn't mar the experience too much it's an irritant in what is otherwise an intuitive user experience overall.